The perfectly Marni-esque sack dress at Marc by Marc. Saint-Laurent-like sophistication at Matthew Ames. 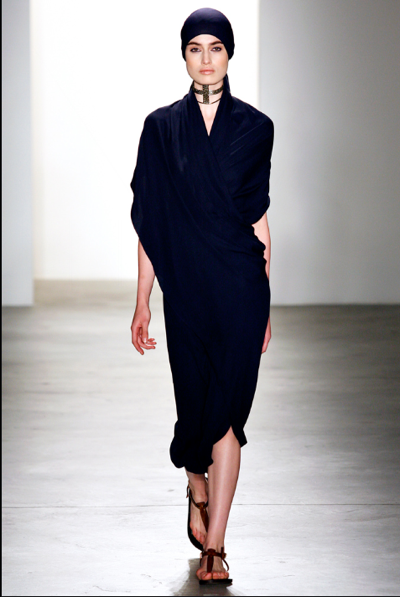 One day my closet will contain a perfectly draped jersey dress (with matching turban). Why not pair futuristic shiny silver with delicate white eyelet? This is another piece that I think would do very well in my closet from now until all eternity. It's just so weird! Will definitely try to hunt this piece down. 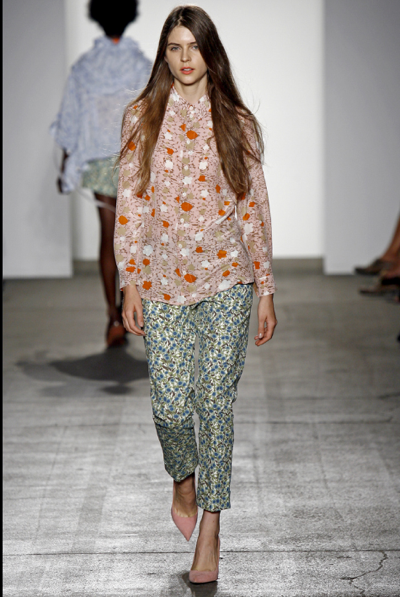 Mismatched prints, button-downs, slouchy slim trousers, pointy-toe pumps. Repeat as above but switch to monochromatic golden orange and pair with amazing platform loafers and it's everything I want to wear now. The Karen Walker model in the last pictures; for some reason the orange clothes really suit her even though she was red hair and pale skin. i love your blog first of all. 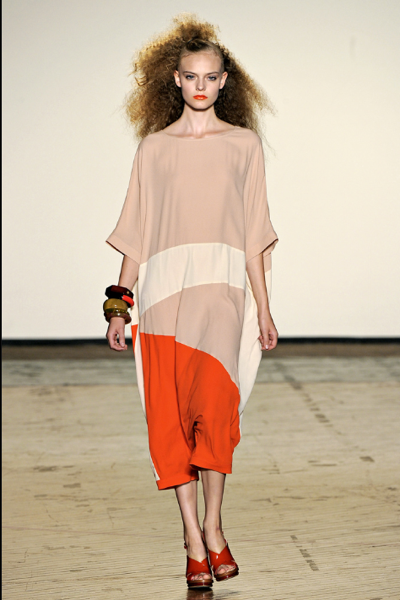 And I completely agree with the statement about that marc by marc being very Marni-esque.